Looking for the perfect place to stay in Seminyak, where you can be in the throng of the nightlife, hip eats and design boutiques just steps from your door? Then Alila Seminyak’s new offerings may be just up your street. 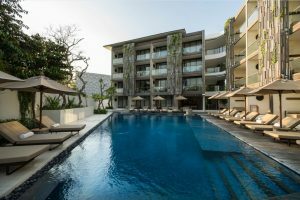 Alila Seminyak unveils The Studios @ Alila Seminyak, which comprise two room categories – the Studio and Deluxe Studio – housed in two independent buildings. While encompassing all the style and sophistication of the resort’s suite accommodation on the beach side, the Studios at Alila Seminyak are located just steps from Jalan Petitenget, Seminyak’s most happening street that combines a cool neighbourhood feel with an eclectic mix of boutiques, clubs and eateries. An ideal choice for travellers seeking to soak up the local buzz, and enjoy a night about town. The 46 sq. Deluxe Studios are a stylish blend of elegant décor and modern comforts, each opening onto a private terrace where guests can relax on a daybed perfectly positioned to enjoy the sun. All the rooms on the Lobby level have direct access to a private pool located in the central courtyard. While just a short walk to Jalan Petitenget, Deluxe Studio guests also enjoy the convenience of being a few steps from the resort’s main buildings, accessible via a link bridge. Rates start from USD 310++. The Studio, on the other hand, is situated closest to Jalan Petitenget, offering 46 sq. 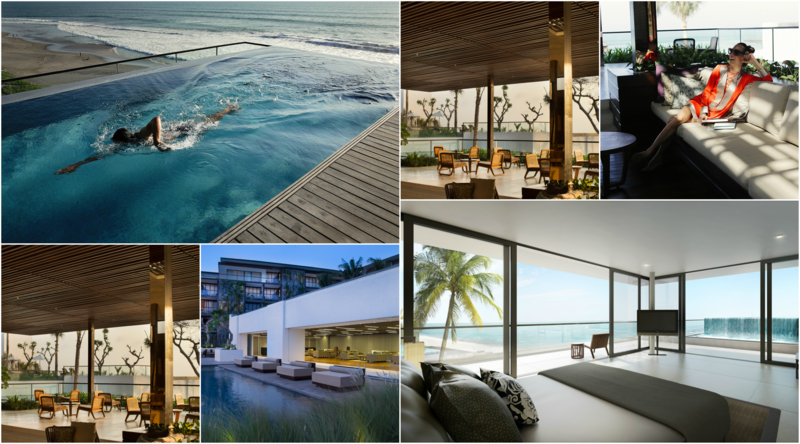 of urban living space with maximum access to Seminyak’s hottest dining venues and nightspots. The Studio is a buggy-ride to the resort’s main buildings and includes a selection of connecting rooms, ideal for those travelling with family or a group of friends. The Studio’s competitive rates start from USD 255++ with the option to enjoy meals at Arsana, an authentic Indonesian restaurant located alongside the Studio, where guests can fuel up for the day while enjoying the vibrant ambience in the heart of Petitenget. When not exploring the streets of Seminyak, Studio and Deluxe Studio guests have unlimited access to the beach and the Alila Seminyak resort facilities, including three infinity pools, The Restaurant, The Beach Bar, Spa Alila, a 24-hour gym, Play Alila and rooftop events space. Guests also enjoy complimentary Alila Hospitalities, including Wi-Fi access, use of bicycles available at the resort, and shuttle service to Seminyak Square. In conjunction with the launch of The Studios at Alila Seminyak, take advantage of these two great offers, valid for stays between 4th of January and 31st of March 2017. The perfect opportunity to ease yourself into the New Year. With every two nights booked, enjoy a third night on Alila! This offer is applicable exclusively for bookings of the Studio and Deluxe Studio. Get an early start on planning your next getaway to Alila Seminyak, book 30 days in advance and enjoy 20% off Flexible Rate.